New Years Eve I travelled up to Barrie to my friend Michelle’s house. 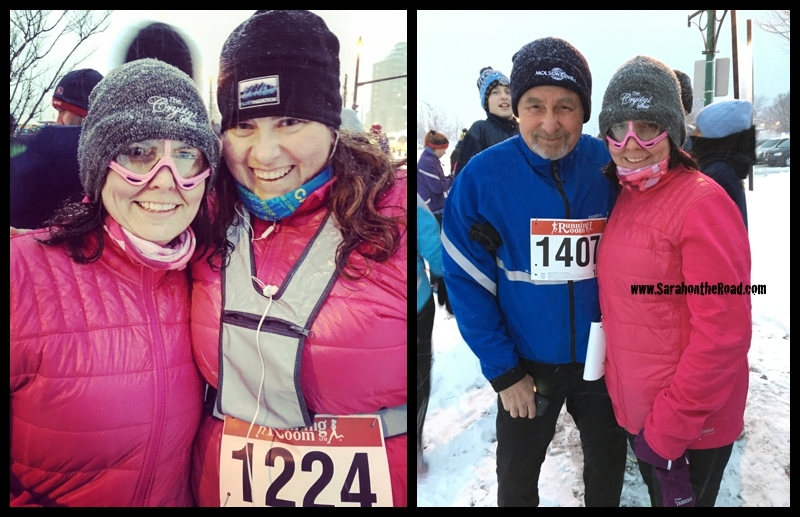 We had decided to do the Running Room’s New Year’s Resolution Run together. 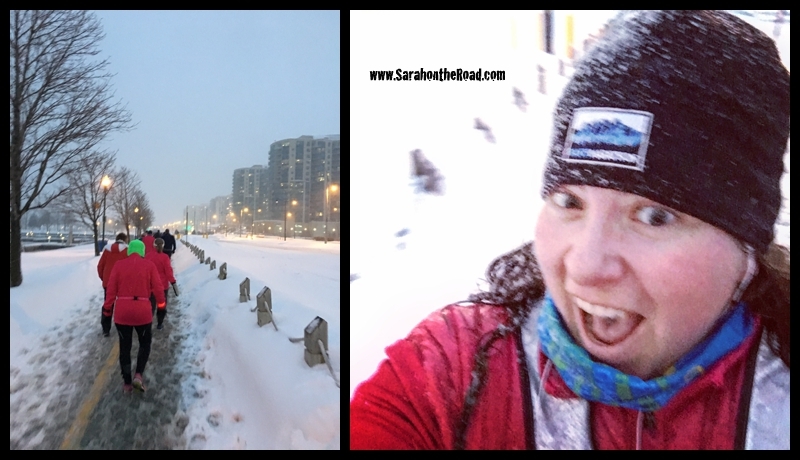 I hadn’t run in awhile…and it ended up to be snowing quite heavily at the time of the start…but it still was great fun! 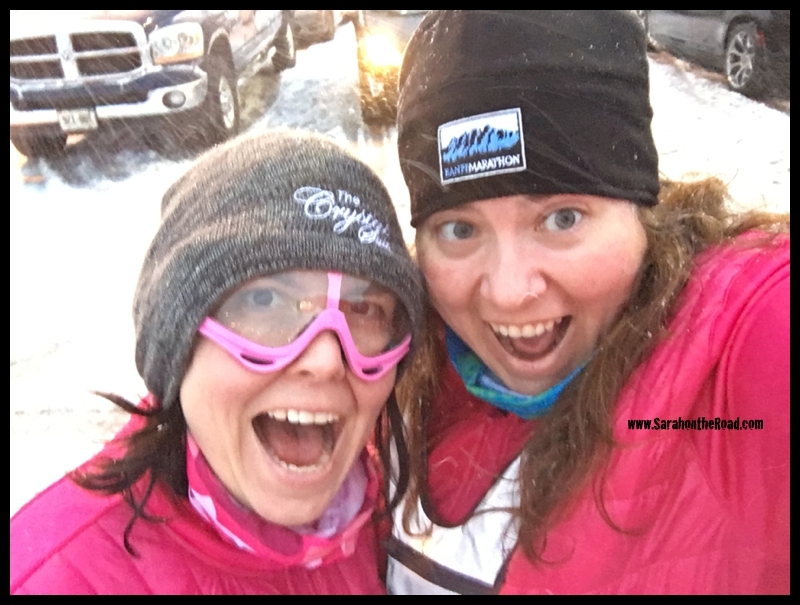 This is my selfie look of–“what did I get myself into?” It was so much fun to join Michelle and her dad on this run. I also got some pretty sweet race swag for this run… the awesome PINK running jacket! One of my 2017 resolutions is to do a 5km race every month and my friend Josefina has agreed to join me on this quest. After signing up for all of the races I realized I had 2 booked in October.. (one with the MEC Race Series package & the Army Race in Ottawa which I had already signed up for too!) So my 2017 quest has become 13 Races in 2017… one per month and 2 in September… a baker’s dozen! 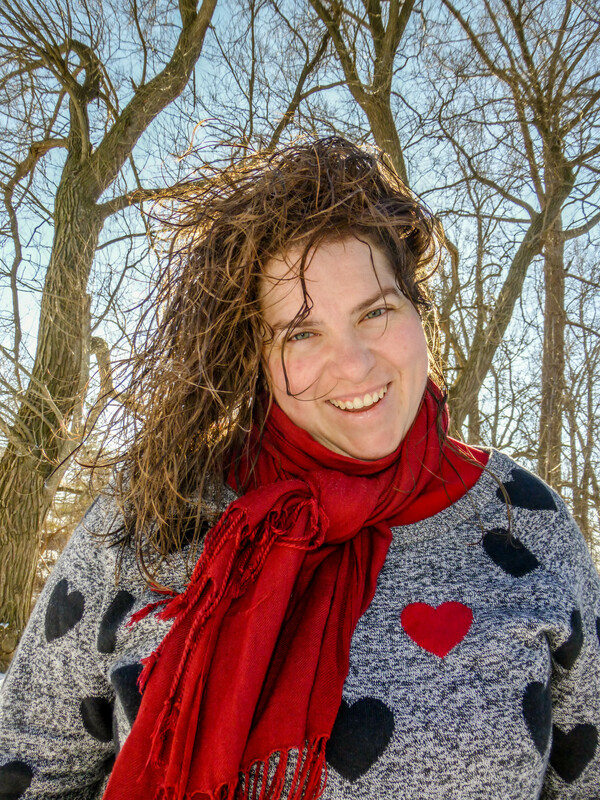 This entry was posted in Life in Ontario, Running 101 on January 2, 2017 by Sarah on the Road.